Mediprep Inc. was founded in responding to the increasing demands for the pre-moisturized wipes (Individually Saturated & sealed swabs) used in disinfecting or cleaning the skin and Medical or other physical devices . 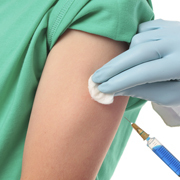 The dominant role of the Medical Prep Pads as the Antiseptic agents have been highlighted as an important change in the Medical Industry in the recent years. 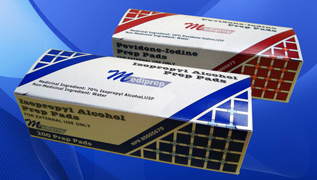 Manufacturing: We're Fabricating , Packaging and Labeling our generic Medical Prep Pads. Contract Manufacturing or Packaging: We're Manufacturing the Private Label Prep Pads as per the customers labeling requirements. Developing and Designing Private Labels: We assist our customers in designing or redesigning their Private labels in accordance with their requirements and the regulation's mandates. Research and Development: Our commitment to the Quality of our products made us expand our Research and Development activities on our products and machineries. The Raw materials used in our products are the best grades (USP grades )made in the North America . Why should you use Prep Pads ? 14 Automatic Road Unit 30, Brampton, ONT. L6S 5N5 CANADA.